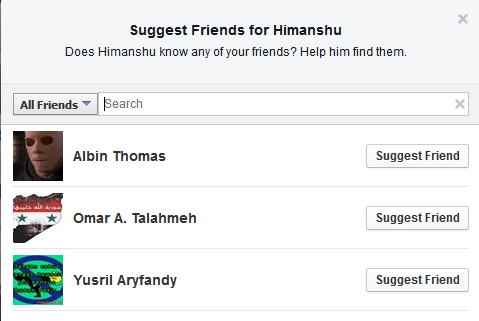 Do you know you can suggest same persons profile as a friend to him? With this trick one can able to get friend suggestion of his own profile. You need victims profile ID and you must be in his friend list. Go to https://graph.facebook.com/username (replace username with victims username) and get facebook profile ID of victim. 1. Go to victims profile page. (This person will get a friend suggestion for his own profile which will be suggested by you). 2. Hover over the Friends button and click on Suggest Friends. 3. 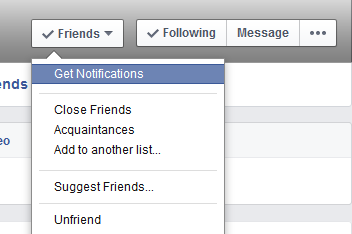 After click Suggest Friends... you will get below pop up window in front of you. 4. Select first friend and right click and click to inspect element option. (This will work for chrome and mozilla). 5. You will now able to see code behind current Facebook webpage. Just find below highlighted field and replace "data-uid" and "value" field with victims Facebook ID which you obtained earlier. (In below figure you can find VICTIMS FBID field in red font. Instead of that use Facebook ID of victim. 6. Click Enter and go back to previous Suggested fried Popup window and click suggest friend now. You might able to see the same person in suggested friend list now. 7. 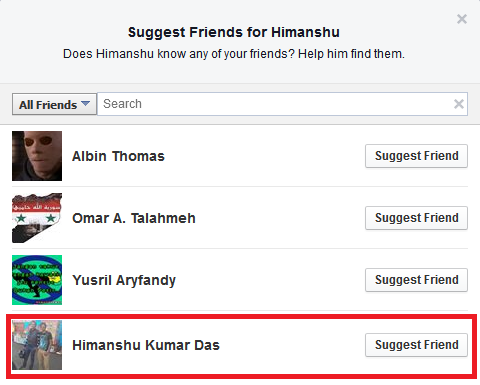 After click on suggest friend button the person will get friend suggestion for his own account. 8. It will show error message when person try to add himself. Do this trick with your friend and entertain him and yourself. Hi Nik, Can you please tel me what error it showing ? tried the procedure as specified above but then also friend name isnt being shown in suggest friends list ! No Need to search for victims name . 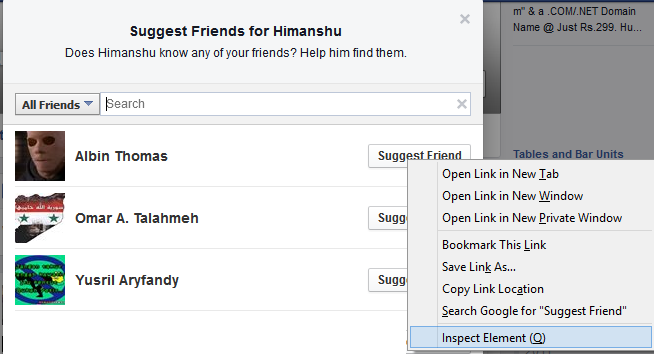 Just edit facebook ID and click on suggest friend button where you edited code.